The Carlisle CAP Flying Club, founded in 1977, was established to provide an affordable and friendly environment and promote camaraderie among the membership. 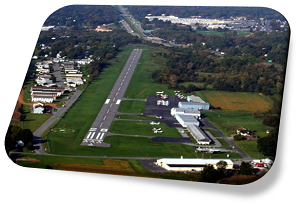 Today, we currently operate a 2000 Cessna Skyhawk 172SP, hangared at the Carlisle Airport (N94) in Carlisle, Pennsylvania. All members must be licensed (private) pilots. A new member must complete an initial checkout in the club aircraft with an approved club CFI. Members are encouraged to continue advanced training such as obtaining an instrument rating or higher. Additional training and flight reviews may be completed in the club aircraft using any CFI. Our club aircraft may not be utilized for non-member training. If this sounds like a flying club for you, contact us today, and one of our friendly board members would be happy to answer any of your questions. Please visit our clubs official Facebook account for more recent information and events. Click on the convenient link below or search us at @CarlisleCAPFlyingClub on Facebook. Provides aircraft rental, scenic flights, aerial photography, and flight instruction. Provides a resource for those who enjoy listening to live Air Traffic Control. Providing aviation services since 1939. The original on-line pilot supplies shop for over 30 years. World's largest pilot shop for more than 45 years.